It feels like a year ago that I was offered the opportunity of hosting FFTO, and I just want to thank Claire of Purely Food and Michelle of Utterly Scrummy Food For Families for the opportunity. In December I came up with a list of breads I could challenge you all to do, but I discarded one after the other as time ticked on. Finally I decided to bake mosbolletjies. This translates directly to small moss balls but actually has nothing to do with anything green! I live in wine farming country and during the harvest festival at Vergenoegd Wine Estate, Michael (the chef from Pomegranate Restaurant) started our meal off with mosbolletjies. The first week they were white, but the second time we went, they were pink from the grape must. It was this that gave me the inspiration to set the challenge as I did. Grape must is the first step of wine making. It refers to freshly pressed juice which includes the skins, stems and seeds. However, inspiration was not friendly with time and I suddenly panicked that I had left it too late. But, the fact that I did not ‘borrow’ some must from the wine farm meant I had to create my own at home. These steps and stages might seem like quite a lot in order to make small must balls but I hope you will find it fun! I have pressed grapes by foot before, but this is not practical. It takes a lot of pressure, so press as hard as you need to in order to break the skin. 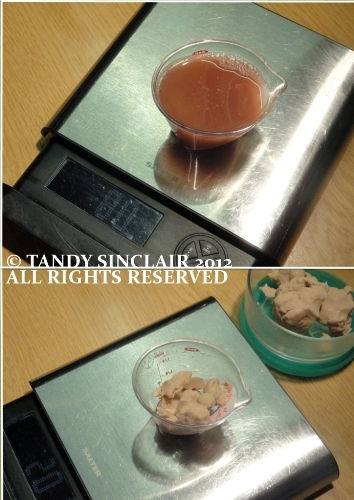 But, not too hard as you don’t need much juice and you want the best of the juice you press. The darker the grapes, the darker your must will be. They are meant to be soft and sweet. These are often served at restaurants in the wine region before you get your meal, or with soup. But I think they make a great tea time snack if served with jam! 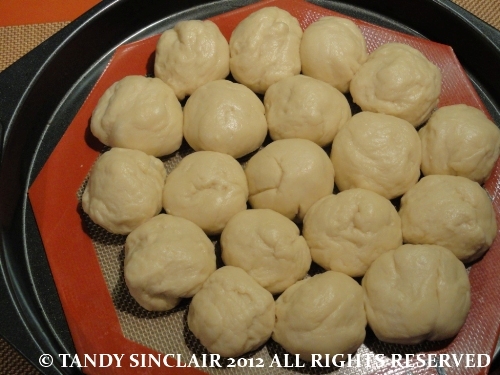 They will feel a bit stale after a day or two, but 10 seconds in the microwave will make them all soft again. 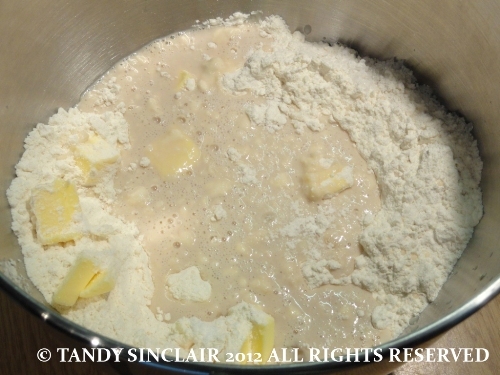 Turn the dough out onto a lightly floured surface and knock it back. If you are taking part in the challenge please note that Michelle will be doing the round up – take a look here for the requirements of the challenge. for all South African Bloggers: please let me know if you are taking part in the challenge – I will be giving away a prize to one lucky blogger! 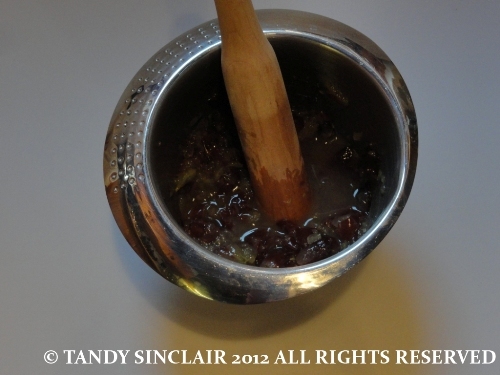 I’m traveling this month Tandy and the stages in this recipe mean there is no way I can make it – very sad because I didn’t want to miss your FFTO. Bookmarked to make once I’m back in Dubai – look forward to the round up. Just made it (as a loaf) and it’s a pure deliciousness! Wonderful recipe! I found this post very interesting, thank you. Thanks for the mosbolletjies recipe. 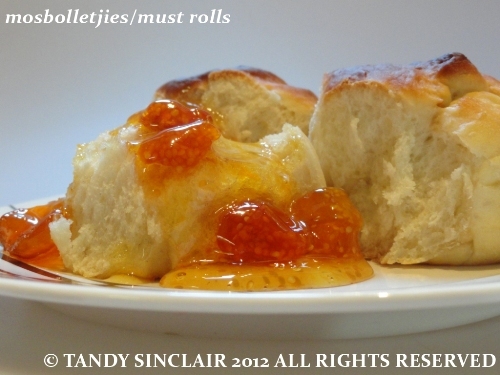 If you don’t mind, can you submit your mosbolletjies photo in http://www.foodporn.net ? Thank you for hosting Tandy. You have put so much thought in to this challenge and it looks a great one. I hope you manage to get them done! I love sweet rolls and these look lovely & soft. I have left overs still! I just looooove mosbolletjies, Tandy!! What a brilliant idea. You’re so lucky to live where you do. I bet it gives you all sorts of inspiration. Hi Tandy. 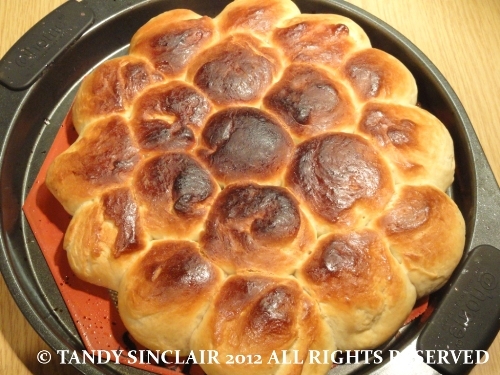 A very timely post as I have been searching around for a bread recipe that mirrors the soft, sweet rolls that I have had many times here in restaurants here in SA and this looks like exactly the sort of thing. I have never heard of must rolls so am not sure if this is what I have been eating but will definitely give this recipe a try. Thanks for sharing. Wow, fabulous site Tandy. Love the recipe too. This looks really interesting! I love it! Nice rolls. I discovered from your post that there is a round silpat. I haven’t ever seen one. On another note, these buns look incredible!